This new, enhanced leather-bound edition includes all the completed novels of beloved author Jane Austen. Jane Austen’s stories of clever women, elusive love, and social mores have struck a chord with millions of fans who consider her work compelling, heartwarming, and essential. Adapted time and again for screen and stage, these enduring classics remain as enjoyable as ever, and are the perfect addition to every home library. 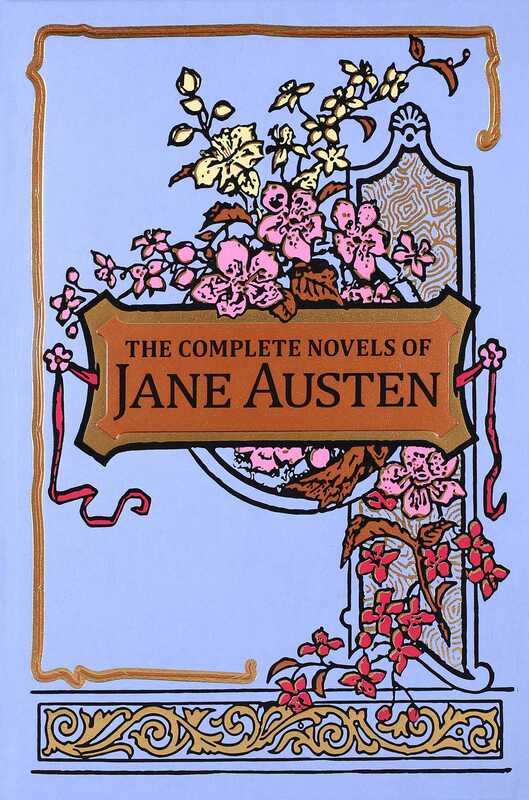 This collector’s edition includes all six of Austen’s completed novels: Sense and Sensibility, Pride and Prejudice, Mansfield Park, Emma, Northanger Abbey, and Persuasion. New readers will be enchanted once they open the genuine leather cover, see the specially designed endpapers, and read these brilliant stories, while readers familiar with Austen's genius will enjoy the introduction from an acclaimed Austen scholar that provides background and context for the works they’ve always loved. Born December 16, 1775, Jane Austen is one of the most celebrated authors of the English language. Her fiction is known for its witty satires on English society. Austen wrote anonymously during her life and wasn't widely recognized as a great English writer until after her death in 1817.